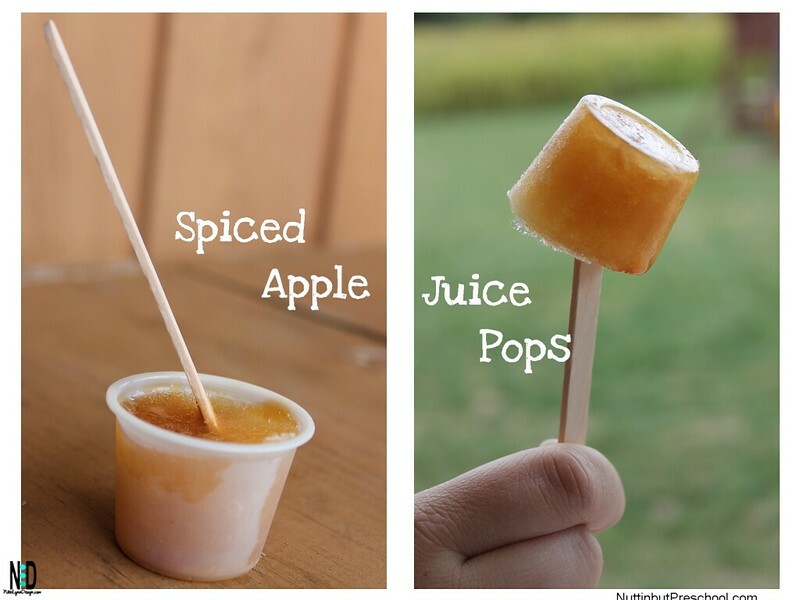 It doesn’t matter what container you use to make these popsicles in, it can be regular popsicle forms or simple, throw away cups like I used. Either way, they are extremely simple and easy to make. Perfect for fall themes or the 4th of July. 1.) In a large sauce pot mix together all ingredients. 2.) Simmer for 30 minutes. Strain out cinnamon sticks and lemons. Let cool. 3.) Purchase small sample cups and popsicle sticks. 4.) Fill each sample cup and insert stick. 5.) Freeze juice pops in freezer until solid. 6.) Store remaining unused, spiced apple juice in refrigerator. The best part about the mix is that any remaining liquid can be stored in the refrigerator. You don’t even have to make popsicles. Spiced apple juice is wonderful served hot or cold.